8-Bit Girl: Here's my Alice Madness Returns Cosplay! 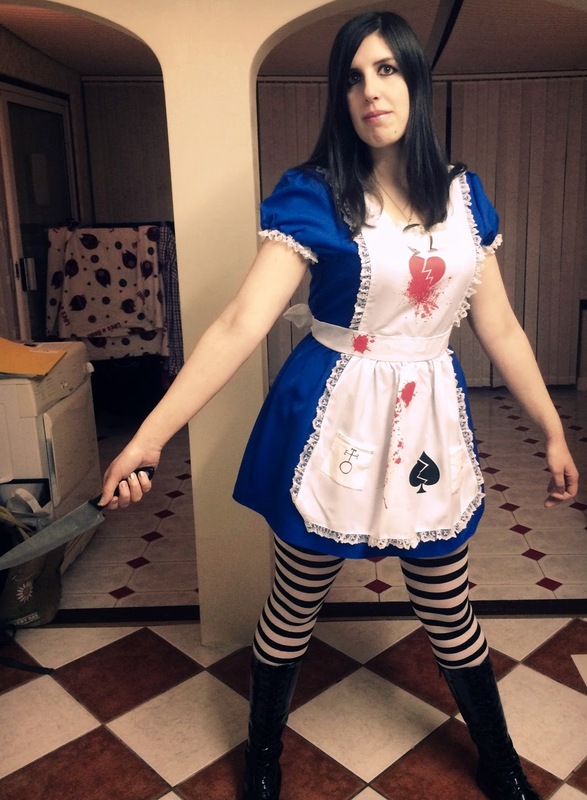 Here's my Alice Madness Returns Cosplay! I am a big fan of American McGee's Alice and Alice Madness Returns, so when I decided I wanted to cosplay at this October's London MCM Comic Con, it seemed like the perfect time to attempt to dress up as Alice! Thank you to everyone who suggested cosplays to me on Facebook and Twitter whilst I was deciding. It seemed a vast majority of you thought I should go as Alice (Lara Croft came up second). Here are some photos of my finished costume. I am attending MCM on Friday (in normal clothes), but look out for me as Alice at MCM on the Saturday and Sunday!